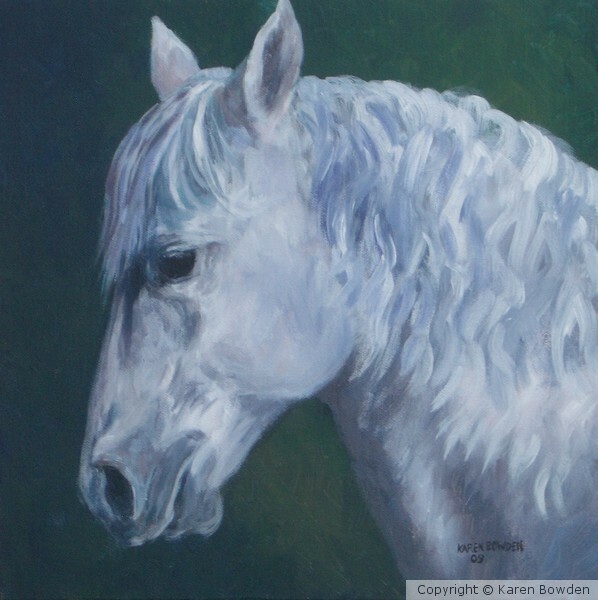 SOLD - This painting was auctioned by HITS http://hitsshows.com/press/2010/ny_equineart update.htm. It is a 12x12 acrylic on gallery wrap canvas and wired, ready to hang. All work cannot be reproduced whatsoever without proper compensation and permission from the artist. VERY OUTSTANDING WORK, KAREN. WOW.